Maeve Rossington is highly regarded by her loyal clients and fellow colleagues for her candor, straightforward communication style and ability to get the job done. She understands the market, is an excellent negotiator and stays calm under pressure. Maeve brings over 12 years of experience in advising her clients through the sale and purchase of their primary homes and investment properties. She will work relentlessly to attain the highest possible price for the sale of your home and negotiate the lowest price for the purchase of your new home. Maeve was raised in San Francisco and graduated from UC Berkeley. Prior to being a realtor Maeve enjoyed a successful career at Oracle Corporation in enterprise software sales and client relations. While working for a multi-national corporation and managing a global team was exciting, the allure of real estate was irresistible. 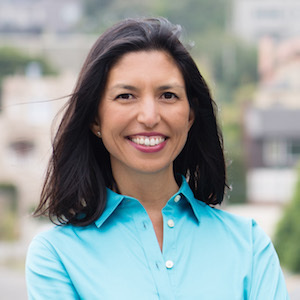 In 2005 Maeve left Silicon Valley to launch her successful Real Estate career and has never looked back. When she is not negotiating purchase agreements or scouting properties, Maeve enjoys chasing her boys down ski slopes, hiking, catching up with friends, and hanging out with her family. "We always felt confident that our goals were Maeve's top priority…"
"Maeve's knowledge patience attention to detail and understanding of our needs helped to make our buying experience a truly pleasurable one. While searching for our first home we couldn't have asked for a better representative to help navigate the demanding San Francisco real estate market than Maeve Rossington."